A New Encounter...and Here They Come! 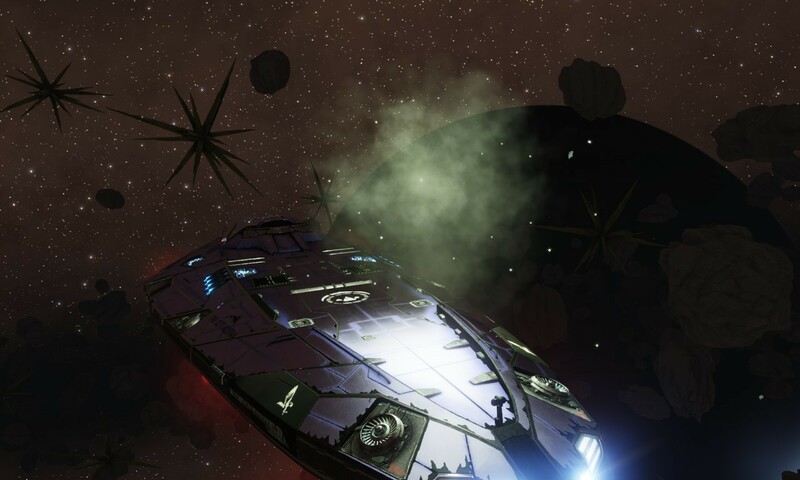 I spent the day exploring and ground-pounding several systems near Stuemeae FG-Y d7561. Most were pretty samey-samey, but then I came across a system with a Notable Stellar Phenomenon. What was initially interesting about this is that it wasn't in a Lagrange Cloud. It was in a ring of a planet. As soon as I dropped out of supercruise I noticed the familiar crystal-type structures, albeit this was one that wasn't in my database. As I cruised closer to the center of the area I ran across some of the Solid Mineral Spheres. I know these seem to be fairly common elsewhere, but it was a first for me. Continuing on, I picked up a different set of signals...but somehow familiar. At first, I thought they looked like the L04-Type Anomalies--I called them sprites--but these were more of a green hue and there was an interesting smaller particle cloud that would move away and then back to the central sprite. Almost like a space coral. One reacted to my presence and moved toward my ship. Suddenly I watched my shields being eaten away! The L04 sprites weren't able to do any damage to my shields if there was only one, so the K11-Type is clearly more powerful. I decided to back off and then jump in my fighter to get a better look. That almost turned out to be a fatal mistake. As I swung my fighter around to a nearby K11 it began reacting to me and approached quickly. That thing burned through my shields within seconds and my hull got beaten down to 28% shortly thereafter. I boosted away to let my shields regenerate and then once I was sure no systems had taken damage, I high-tailed it back to the Azeria. Lesson learned. I finished scanning a few more systems and got on the wave with a couple of my fellow Silverbacks who are with the DW2 fleet. I set a Marker for them to zero in on Explorer's Anchorage--the new station being built out here near Sag-A. They expect to be dropping in sometime tomorrow. So, I told Francisca to take us back to the station and I went back to my quarters to grab a bite to eat and make some notes. 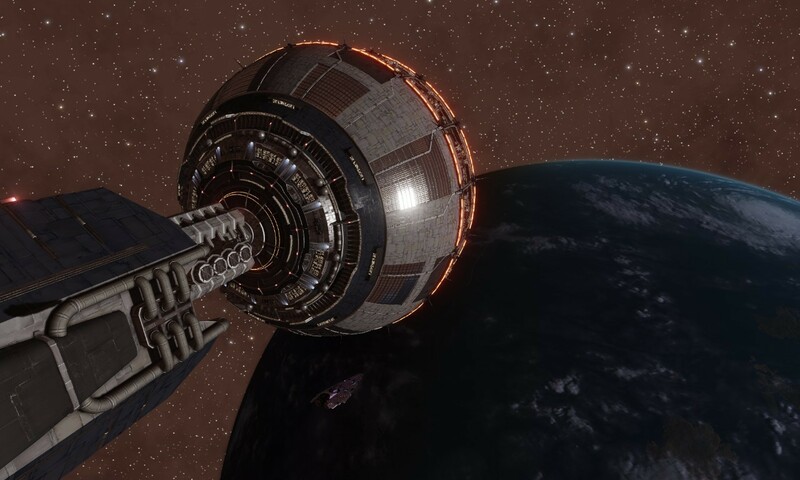 I felt the ship drop out of supercruise as we began to approach the station and then Francisca said over the ship comms, "Hey, we're not alone anymore". I ran up to the bridge and looked at the scope. Sure enough, another commander had docked in a Krait Mk II. The ship showed registered to a Cmdr Broness. I had Francisca hail him, but he never responded. Oh, well, not everyone is as friendly as I am.